Campaign for the American Reader: Pg. 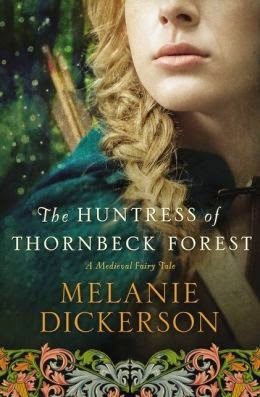 69: Melanie Dickerson's "The Huntress of Thornbeck Forest"
Pg. 69: Melanie Dickerson's "The Huntress of Thornbeck Forest"
Featured at the Page 69 Test: The Huntress of Thornbeck Forest by Melanie Dickerson. The one man she wants is bound by duty to capture her; the one woman he loves is his cunning target ... What becomes of a forester who protects a notorious poacher? What becomes of a poacher when she is finally discovered? The Page 69 Test: The Huntress of Thornbeck Forest.